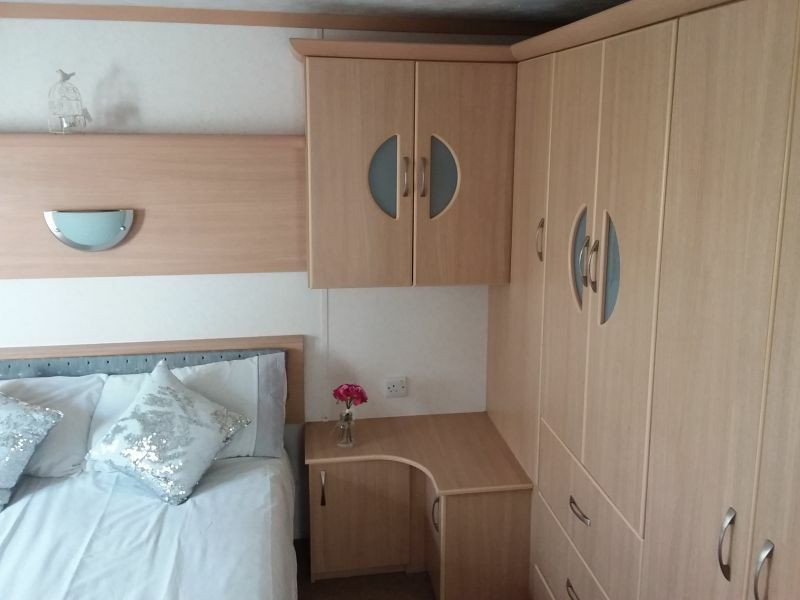 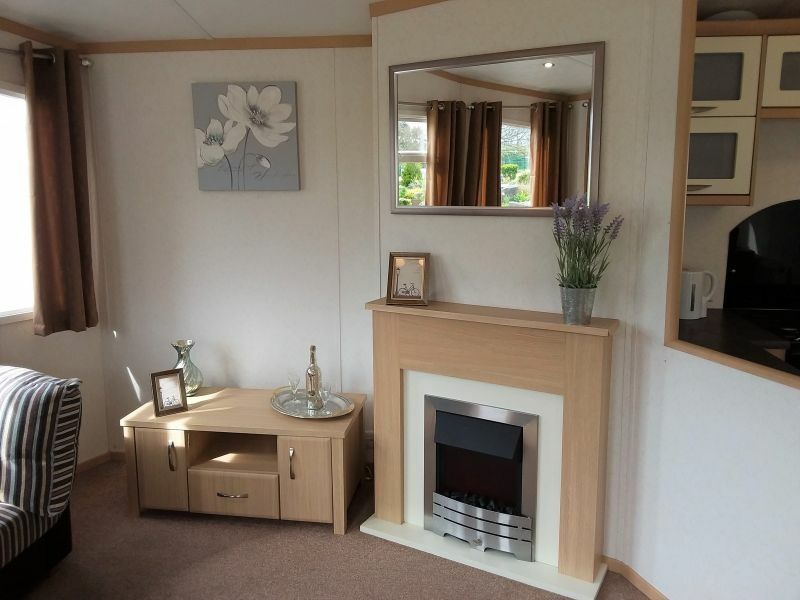 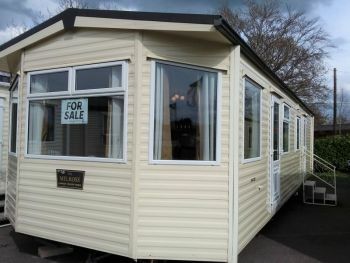 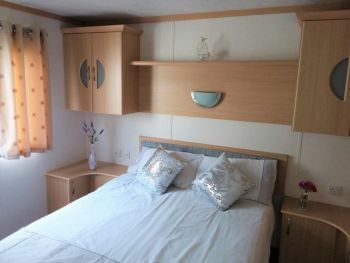 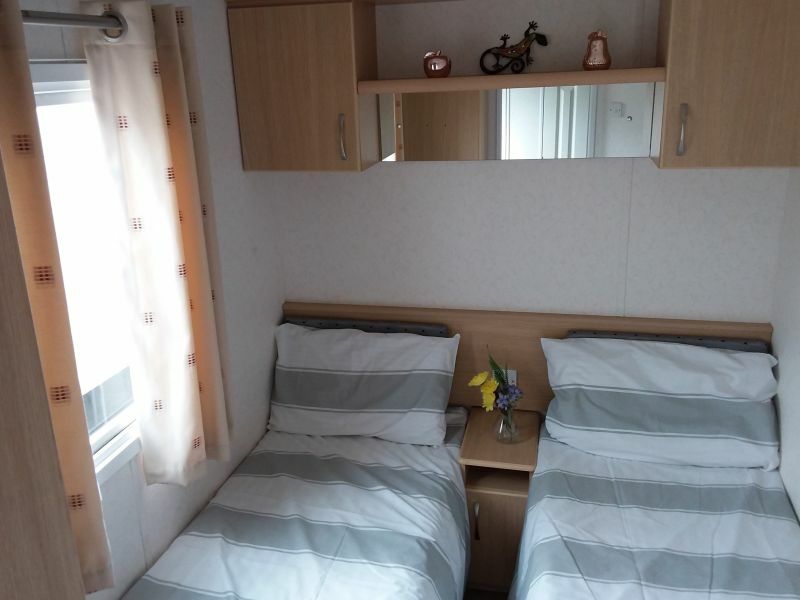 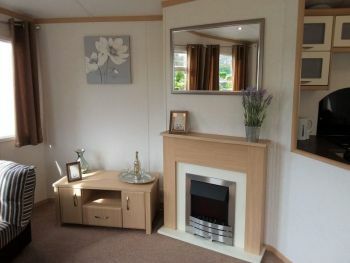 A great holiday home with comfortable seating and practical amber oak coloured furniture. 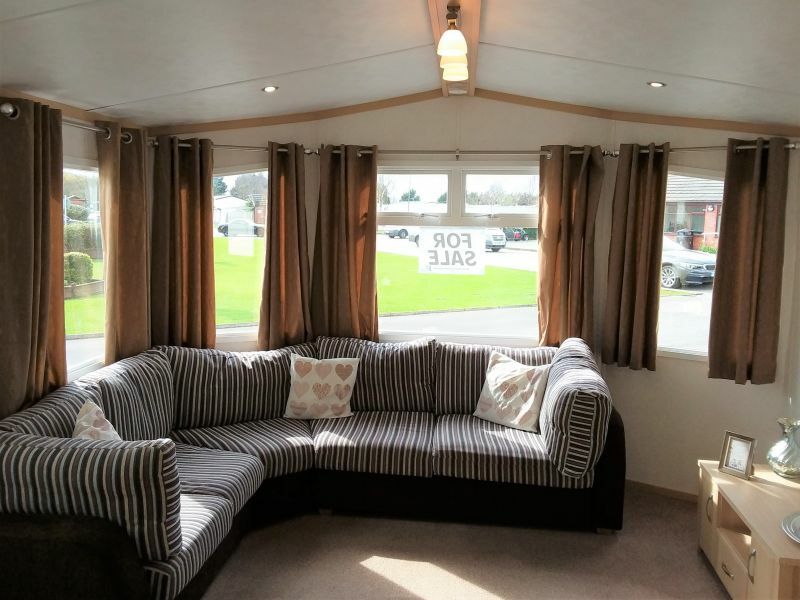 The Carnaby Melrose has an Autumnal colour scheme with high ceilings to the lounge giving a feeling of space and colonial panelled internal doors throughout. 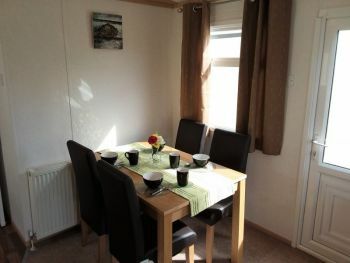 Comfortable wraparound seating leading to a separate dining area with free-standing table, and 4 chairs. 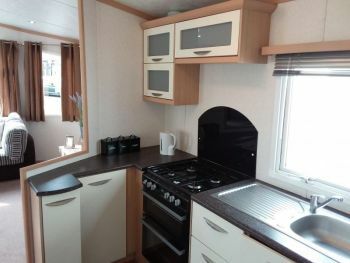 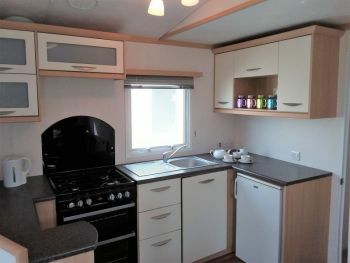 Fully fitted kitchen with gas cooker, fridge and a space for microwave. Bedrooms both have good storage with a neutral colour scheme. 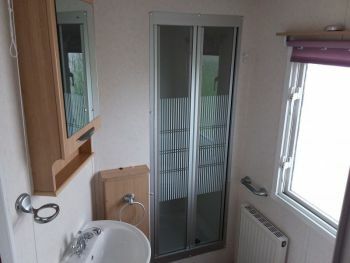 Family bathroom includes shower unit, wash basin and WC.